*All of the author's profits from the sale of this book will be donated to the Lieutenant Governor’s Aboriginal Summer Reading Camps (LGASRC) program (managed by Frontier College on behalf of the Office of the Lieutenant Governor of Ontario). **The image from the Moccasin Identifier Project Page 26 was created by artist Philip Cote. When Sir William Johnson (Superintendant of Indian Affairs and direct representative of the Crown) called for a Great Council over 2000 chiefs representing 24 Nations met on the shores of the Niagara River (called the crooked place). The Treaty of Niagara is seen by many Indigenous people as the birth of modern Canada, establishing a relationship that has been ignored by successive Canadian governments since before Confederation. The foundation of the Treaty relationship established at Niagara remains a direct link with the Queen. While the Crown in Canada is largely an abstract and remote institution for Canadians, the Queen and her representatives remain active and familial figures for First Nations. ​Constrained by responsible government, what Walter Bagehot calls “the Dignified Crown” (The Royal Family, governors general and lieutenant governors) remains as one of the few institutions that can effectively polish the Covenant Chain and help Canada along the path to reconciliation. The Queen at the Council Fire explores the extension of the Covenant Chain relationship into Canada and how the Royal Family, governors general and lieutenant governors are working to uphold the honour of the Crown. The book concludes with concrete suggestions for representatives of the Dignified Crown to strengthen their relationships with Indigenous Peoples. This is a beautiful, clear and well-written book. Thanks to Nathan Tidridge for producing a great piece of scholarship, research and good feeling. I definitely recommend this book. Constitutional monarchy is usually discussed in terms of principles. This account demonstrates that when the subject is First Nations, it is the practices of the Crown in its long relationship with Indigenous Peoples that are of paramount concern. Through the prism of the Crown, Nathan Tidridge offers a unique perspective on a subject of fundamental importance. 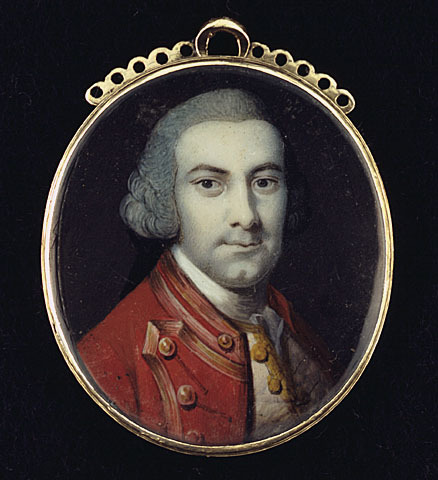 Nathan Tidridge has given us a richly textured account of the historic meeting of First Nations with Sir William Johnson, the British Monarch's personal representative, at Niagara in 1764. The Treaty of Niagara is Canada's first Confederation, Tidridge's book is must reading for understanding Canada's constitutional foundations. The Covenant Chain is a metaphor for alliance between the Crown and various Indigenous nations. This metaphor is represented on wampum belts by two men holding hands or two men holding a chain, bound together by the silver chain of friendship. In old councils, both participants of the treaty had to re-tell the 'talk' on the belt to demonstrate their understanding of the mutual obligations. Long ago, the representatives of the Crown had let go their end of the belt and had quit coming to the council fire to 'polish the chain'. In this book Mr. Tidridge offers a re-telling of the 'talk' from a modern day Canadian perspective. Mr. Tidridge is not a passive witness, but is an active participant and thus has made a valuable contribution to advancing the dialogue amongst the Canadian population in order to 'smooth the path' between settler population and the Anishinaabe and Haudenosaunee peoples. The Crown in Canada is deep-rooted, complex and multi-faceted. Two of those facets are the Crown’s key role in Canada’s federal polity and its vital importance to the First Nations’ treaty relationship with other Canadians. In The Queen at the Council Fire, Nathan Tidridge demonstrates the link between Canadian federalism and the First Nations, debunking the assumption that “Indians” are simply an issue for Ottawa. Mr. Tidridge encourages us to look beyond the stereotypes and appreciate the mutual interest of both orders of government in collaborating with the First Nations through the unique institution of the Canadian Crown. With The Queen at the Council Fire Nathan Tidridge has gifted us a concise, sharp, and detailed account of one of the most important events in Canada’s history, a moment all-too-often ignored in the history books. The Treaty of Niagara offers a path for healthy relationships much needed in a modern culture built on the 1763 Royal Proclamation, the British North American Act, and a long spectrum of violent, genocidal Indian policies. Tidridge reminds us of the hope embedded in our collective past and how we continue to be shaped by it in important and seminal ways. Visit "Indigenous Relationships with the Crown"
The most Superficial View of the Nature and Dispoistion of the Indians and of the Manner in which they regulate their Civil Concerns will suffice to shew, that a steady and uniform attachment to and love of, Justice and Equity is one of their first principles of Government; and it is upon a general Consideration of the Effect and Influence of this principle upon their Conduct, that we have ventured, to suggest a Regulation, that appears to us to conform itself to their Inclinations and Disposition in this Respect . . . Thanks to a grant from the Ontario Arts Council I commissioned Ken Maracle, a faith keeper of the Lower Cayuga Longhouse and a member of the Cayuga Nation, Iroquois Confederacy, Deer Clan, to create a replica of the Covenant Chain Wampum Belt. It is important to note that the original Covenant Chain Belt was commissioned by the Crown to present to the assembled Western Nations. It is a very important piece of Canadian history - a tanigible expression of relationship that exists between the Canadian Crown and First Nations. It is likely that representatives of the Mi’kmaq and Lakota (Sioux) were also there. The Delaware and Shawnee Nations were not in attendance at the Council of Niagara. John Borrows, “Constitutional Principals Regulating Interaction between First Nations and the Crown” (PhD diss., University of Toronto, 1994), 59. Present - Sir Wm. Johnson Superintendt. Guy Johnson Esqr. Depy. Agt. Capt. Normand McLeod of the late 80th Regt. Alex McKay and "Treaty Canoes"
Alex McKay, BFA Hon. (U. Windsor), MFA (The School of the Art Institute of Chicago) was born in Detroit, MI and raised in Windsor, Ontario. He is a dual national (USA & Canada) of English and Scottish extraction. His interests lie in issues of Landscape, Place and Identity. He has an extensive body of work exploring the fraught relationship between First Nations and the dominant Settler Culture of Canada and the USA. Treaty Canoe, 1999, linen paper (courtesy of Papier St Armand, Montreal), glue, cedar, copper wire, ink, red ribbon, birch bark, 12 feet x 2 feet x 32 inches. The ‘treaties’ for the work were produced by a group of volunteers transcribing treaties from printed text onto the linen paper using dip pen and ink, much as the originals would have been hand-written onto similar paper. Most of the participants had never read a treaty before. Treaty Canoe speaks of mutual, sacred bonds of honour. When exhibited it hangs by a thread balanced on a central pivot point above its one thwart. It responds to the slightest breeze of a passer-by, rocking and turning. Lit from above the craft becomes translucent; in casting a shadow it becomes two canoes, floating in the same current on separate but parallel courses. Treaty Canoe is, of course, text. Its sister piece, Treaty of Niagara 1764 (birch bark, copper wire, red paint, about 24 x 12 inches, 1999) is mute. Some say that the Treaty of Niagara is a ‘lost treaty’ reiterating and reinforcing the First Nations’ understanding of The Royal Proclamation of 1763, that recognized the sovereignty of the First Nations. It is remembered and recorded by the First People as a Two Row Wampum. Borrows, John. "Wampum at Niagara: The Royal Proclamation, Canadian Legal History, and Self Government." In Aboriginal and Treaty Rights in Canada, edited by Michael Asch, 155-172. Vancouver: UBC Press, 1997. Corbiere, Alan Ojiig. "Gchi-Miigisaabiigan: The Great Wampum Belt." Anishinabek News, September 2006. Charles Pachter's "Treaty of Niagara Giclée"